Have you ever been curious about the way your child learns best? 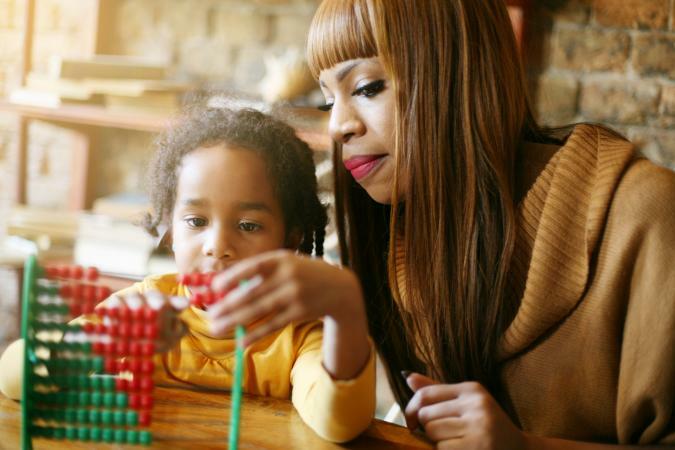 While it's probably inaccurate to say that a child has just one learning style, figuring out a dominant learning strength can help things like homework and school seem more bearable. Once you know your children's learning styles, you can help present information to him in a way that matches his style, making it easier for him to learn. 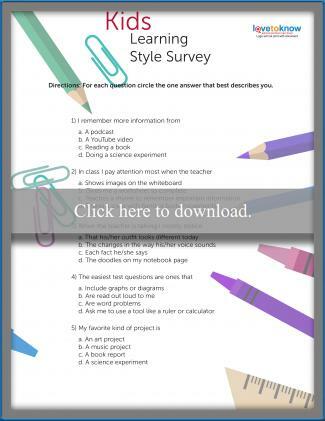 A simple survey helps kids, parents, and teachers assess each child's primary learning style. 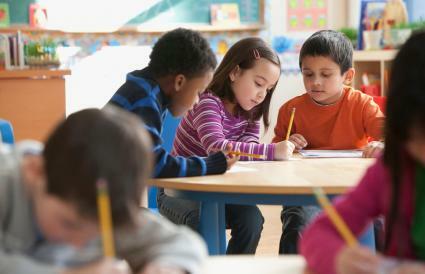 Kids choose from one of four answers on 10 easy questions to determine which learning style best describes their behavior and preferences in typical classroom activities. Click on the image of the document to download and print it. Use the handy Adobe Guide if you have any trouble accessing the survey. The included results page helps you understand which learning style is dominant for your child and what it means. What Do Kids Learn in Kindergarten? An online learning test can be a helpful tool in discovering your child's learning strengths. It should never be considered an official evaluation as the online format is limited in its ability to assess your child's strengths. These tests typically come in one of two formats. Some tests have a child rate how much an activity appeals to them or which statement best describes them and other tests ask children to check off any activities that appeal to them. These types of assessments should serve as a starting point in helping your child make the most of his education. The VARK Questionnaire includes four learning styles - visual, aural/auditory, reading/writing, and kinesthetic. On each of the 16 scenario questions, you check one or more boxes that best represent your reaction to the scenario. When you're finished, click "OK" and you'll instantly get your results. Teacher Lists offers a free, simple 12-question online test where your child checks off his interests to determine his learning style. After you get your instant results, you can read about what each of the three learning styles - visual, auditory, and kinesthetic - means and some strategies to help that type of learner. Accelerated Learning's test determines where a child's learning preference falls within seven different styles of learning - linguistic, mathematical/logical, visual/spatial, musical, interpersonal, intra-personal, bodily/physical, and naturalistic. Kids answer 36 questions on a range of responses from "very unlike me" to "very like me." The chart on the right side of the screen shows which styles you're showing a preference toward after each question. To get your full results, you have to enter an email address where the results will be sent. What Is My Learning Style? offers three different tests to hone in on your learning style. The tests focus on four categories - perceiving information, ordering/using the information you receive, remembering, and understanding. Test One features 30 questions where you answer "seldom," "some," or "often" to each directive. When you finish, the results pop up in a new window. Test Two features 48 statements where you check which ones are true. The third "Global vs. analytic Test" features 43 questions in the same format as Test Two. LoveToKnow.com offers a quick learning style quiz for parents to take based on observations about their child. You simply answer 8 questions about your child's preferences in certain educational instances then get an automatic result. This quiz covers four basic learning styles - verbal, visual, auditory, and kinesthetic. Answer 20 easy questions at Education Planner to find your learning style. Choose from three answer options on each question then get your results at the end. You can even download a printer-friendly version of your results to keep. Iowa and Arkansas use the Qualls Early Learning Inventory to provide parents and teachers of children in grades PK-1 with an individual learning profile for each student. Teachers complete inventories while observing students. Kidtelligent is a program that takes your child's learning style and personality and uses it to help you choose suitable activities and goals for your child. The program includes specific strategies to help your child set and reach goals based on his personality and learning style and costs about $25. The 4Mat System teaches teachers and parents how to respond to a student's learning style. It contains a learning type measure that focuses on how students receive and process information, then offers unique teaching strategies to accommodate each student's style. You have to create an account and pay $15 to access this assessment. Howard Gardner's Multiple Intelligences theory suggests there are eight "intelligences" that impact how people think and learn. Teachers or parents can help kids of any age complete a free multiple intelligences questionnaire that will show which of these "intelligences" are strengths for the child. Some tests include up to eight or more learning styles or multiple intelligences in the results. The type of test you choose will determine which possible learning styles you assess. Most results focus on the three main learning styles: visual, auditory and kinesthetic/tactile. Visual learners learn by seeing and reading. They learn best through textbooks, pictures, diagrams or demonstrations they can observe. Auditory learners excel through listening and speaking. Auditory learners will do well in a lecture hall atmosphere, by listening to tapes or music. Kinesthetic or tactile learners learn best through touching and doing. Hands-on activities work well for this type of learner, and a tactile learner tends to do well with manual dexterity tasks. Tests that go beyond the basic learning styles account for kids' preferences and skills in different environments. Verbal learners retain information best through reading and writing activities. Logical learners like patterns and problem-solving. They learn best when there are rules to follow that make sense of a topic. Social or interpersonal learners prefer a group atmosphere and collaborative experiences because they feed off others. Solitary or intrapersonal learners like peace and quiet. They are self-directed, self-motivated, and self-aware. Naturalistic learners are kinesthetic learners who prefer hands-on experiences that include the outdoors. No matter which learning style a child has, a combination of teaching styles can be effective since most people have a little of each style and are dominant in one area. Knowing what type of learner a child is makes teaching and learning much easier.